A hot topic in Java 8 is support for lambda expressions. They are part of Java Specification Request (JSR 335). I wrote about closures in Java two years back. Lambda expression are informally called as closures. We are closer to the release of Java 8 and lets see how it is implemented. Lambda expressions are similar to methods, it has arguments, a body and return type. They can also be called as anonymous methods. A method without name. One of the main features of lambda expressions is it enables passing a method as argument to another method. I see that because of this feature it is going to unravel umpteen programming possibilities. An interface with no method is a marker interface. An interface with only one abstract method is a functional interface. ActionListener class is an example of functional interface. We use anonymous class to implement ActionListener and in this kind of scenario, instead of using anonymous inner classes to implement, lambda expressions can be used. It will be simple and better compared to anonymous inner classes. Need JDK8 to experiment with lambda expressions. Presently JDK 8 is available as snapshot release JDK 8 Build b 84. Lambda Expression Examples – Long list of examples, sure you will enjoy! One important difference between anonymous inner class and lambda expression is, if we use ‘this’ it resolves to anonymous class but in the case of lambda expression, it resolves to the enclosing class. Lambda expression can have zero to any number of parameters. If there are no parameters to be passed, then an empty parentheses is given. Type of the passed parameter can be explicitly declared or can be taken from context. If the parameter’s type is inferred from the context then the parentheses need not be used. Lambda expression body can have zero to any number of statements. Body of expression should be enclosed in curly braces, if there is only one statement curly brace is not needed. Following sample program implements ActionListener using both anonymous class and lambda expression. Comments on "Lambda Expression in Java 8"
Why do we use Lambda Expression? One issue about anonymous classes is that if the implementation of your anonymous class is very simple, such as an interface that contains only one method, the syntax of anonymous classes may seem too unwieldy and unclear. In these cases, you’re usually trying to pass functionality as an argument to another method, such as what action should be taken when someone clicks a button. Lambda expressions enable you to do this, to treat functionality as method argument, or code as data. Fantastic…!!!! thanks for the explanation…..
nice to see latest concepts on java..
How do I get a handle to the ‘event’ object in the Lambda expression example shown with ActionListener..?? 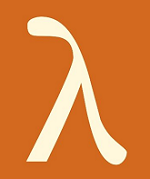 My actual question do you think Lambda expressions are a replacement to functional interface implementations..?? That’s good to know, considering they’ll put it out in the next version of Java. It’ll also make writing listener classes a piece of cake! Thank you for writing this article! Will you please explain how virtual Extension method are used in Lambda Expr..? If you provide an Example it would gr8 for understanding..
(a,b) is argument here . a+b is expression. lambda expression are also called anonymous methods. Lambda expressions follow scala type of syntax . Why do we need these? An interface having only one method is called functional interface. in above code we are using Runnable interface an anonymous class. First of all a very nice article & good description of lamda expression. I belong to field of dot.net c#, but now i am developing app in android with java , and i am missing my lamda exp querying against the object list. now with JAVA 8 i can use this again in android, thats grt. Comments are closed for "Lambda Expression in Java 8".